Fall harvest is one of our favorite seasons on the farm! Our pumpkins are ripe in the field and it’s time for apple picking. Field trips or farm/orchard tours in the fall can be fun for kids of all ages … and parents or chaperones! 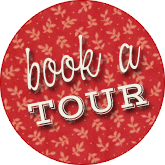 Now Booking 2019 Fall Tours! Learn about bees and how important they are on a farm. Later, you can see live bees making honey in the observational bee hive. Choose one of 3 options below and then click the red circle to book your tour! 30 people max/tour. If you have more than 30 total people (children and adults combined), you must book multiple tour times. We are unable to accommodate more than 30 people per tour. Remember that we are a working farm. There may be uneven surfaces or paths around the attractions and orchards. Please dress appropriately for a day outdoors. You may want a hat and sunglasses. Wear comfortable shoes and remember that you may encounter some mud after a rain. Bring Sharpies to label apple bags and pumpkins. Optional: Bring a plastic grocery bag for each child to hold pumpkin.